CAMBRIDGE, MA — One of the major side effects of chemotherapy is a sharp drop in white blood cells, which leaves patients vulnerable to dangerous infections. MIT researchers have now developed a portable device that could be used to monitor patients' white blood cell levels at home, without taking blood samples. The paper's first author is Aurélien Bourquard, an RLE postdoc. Other team members who developed the new technology include RLE research engineer Ian Butterworth, former MIT postdoc Alvaro Sanchez-Ferro, and Technical University of Madrid graduate student Alberto Pablo Trinidad. Chemotherapy patients usually receive a dose every 21 days. After each dose, their white blood cell levels fall and then gradually climb again. However, doctors usually only test patients' blood just before a new dose, so they have no way of knowing if white blood cell levels drop to dangerous levels following a treatment. "In the U.S., one in six chemotherapy patients ends up hospitalized with one of these infections while their white cells are particularly low," Castro-Gonzalez says. Those infections lead to long, expensive hospital stays and are fatal in about 7 percent of cases. The patients also have to miss their next chemotherapy dose, which sets back their cancer treatment. The MIT team estimated that if there were a way to detect when patients' white cell counts went below the threshold level, so they could be treated with prophylactic antibiotics and drugs that promote white blood cell growth, about half of the 110,000 infections that occur in chemotherapy patients in the United States every year could be prevented. In the Scientific Reports study, the researchers tested the device in 11 patients at Massachusetts General Hospital and University Hospital La Paz in Madrid, at various points during their chemotherapy treatment. The approach proved 95 percent accurate for determining whether a patient's white cell levels were above or below the threshold. 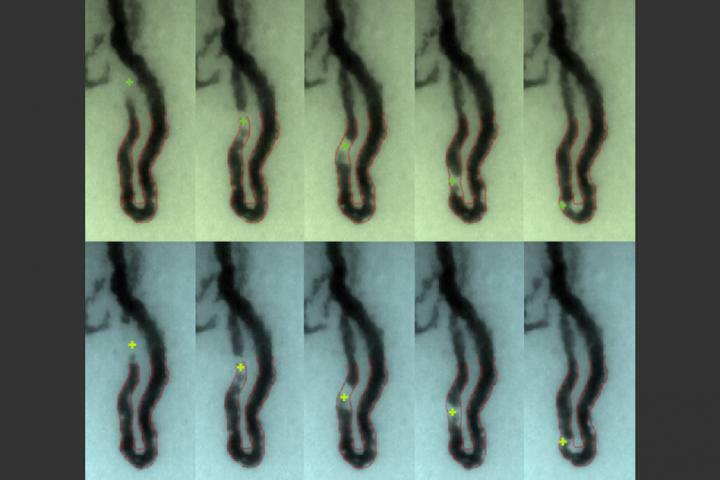 "Based on the feature-set that our human raters identified, we are now developing an AI and machine-vision algorithm, with preliminary results that indicate the same accuracy as the raters," Bourquard says. To help move the technology further toward commercialization, the researchers are building a new automated prototype. "Automating the measurement process is key to making a viable home-use device," Butterworth says. "The imaging needs to take place in the right spot on the patient's finger, and the operation of the device must be straightforward." "There is a balancing act that oncologists must do," says Sanchez-Ferro. "Normally doctors want to make chemotherapy as intensive as possible but without getting people too immunosuppressed. Current 21-day cycles are based on statistics of what most patients can take, but if you are ready early, then they can potentially bring you back early and that can translate into better survival." The research was funded by the NIH's Center for Future Technologies in Cancer Care, MIT's Deshpande Center, the Wallace H. Coulter Foundation at BU, the Madrid-MIT M+Vision Consortium, the EU FP7-PEOPLE-2011-COFUND Program, Fundación Ramón Areces, the MIT Undergraduate Research Opportunities Program (UROP), and the MIT Sandbox Innovation Fund.